MormonInfo.org - FAQs - Weren’t there many "plain and precious things taken away from the [Bible]" (1 Nephi 13:25-28)? Mormons simply assume that 1 Nephi 13 is correct when it talks about all the "plain and precious things" that went "forth from the Jews in purity unto the Gentiles," and later deleted by the "great and abominable church" after the time of the twelve apostles (vss. 25-26). In fact, LDS must assume such a corruption in order to legitimize their unique doctrines (e.g., God was once a man who progressed to being a God for us, that they can become gods as God became a God, that Jesus is not God by nature, Heavenly Mother, etc.). This assumption is also a typical naturalistic one outside the LDS Church. Ever since the age of the Enlightenment, western society has continued to swallow naturalism hook, line, and sinker. A common analogy is the phone game. I whisper something to Tara. Tara whispers it to Maddy. Maddy whispers it to Britney. Britney whispers it to Rod, etc., etc. When it finally gets back to me, of course it is going to be quite distorted from what I originally whispered in Tara’s ear. So with all the transmission of the Bible, there is no reason to trust that we have faithful versions today. But is that really the case? Our biblically illiterate society does not realize that the Bible is by far the best attested work of antiquity. Much has been written about this (e.g., Josh McDowell, The New Evidence that Demands a Verdict and Bible Transmission: Questions and Answers), but I will focus on the evidence from the Dead Sea Scrolls (DSS). Prior to the finding of the DSS in 1947, the oldest known Hebrew manuscripts were from the Masoretic text (dated around the 9th century AD). The DSS pre-dates the Masoretic text about a thousand years. Again, assuming the naturalistic story, there would be drastic changes between these two texts. Instead, in reference to comparing the manuscripts of the whole book of Isaiah, the late Old Testament scholar Gleason Archer said, "[T]hey proved to be word for word identical with our standard Hebrew Bible in more than 95 percent of the text. The 5 percent of variation consisted chiefly of obvious slips of the pen and variations in spelling. They do not affect the message of revelation in the slightest" (McDowell, 70). This seems, dare I say, supernatural! Isaiah even said long ago, "The grass withereth, the flower fadeth: but the word of our God shall stand for ever" (40:8). Jesus Himself taught that "[t]ill heaven and earth pass, one jot or one tittle [the smallest Hebrew characters] shall in no wise pass from the law, till all be fulfilled" (Matthew 5:18). He also taught that His words would never pass away (Mat. 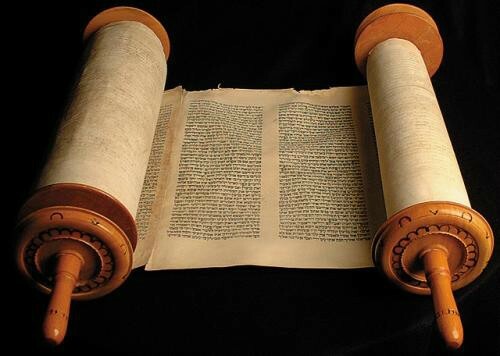 24:35), and that "Scripture cannot be broken" (John 10:35). For those committed to Jesus and His word, the testimony of the DSS should not come as any great surprise. Since we have a "more sure word of prophecy" (2 Peter 1:19), we can stand against the assaults of the devil. We need "be no more children, tossed to and fro, and carried about with every wind of doctrine" (Ephesians 4:14). The word of God is a lamp to our feet and a light to our path (Psalms 119:105). Finally, if anyone has taken "plain and precious truths" from the text of Scripture, it was Joseph Smith with his translation of the Bible. There are no biblical manuscripts in their original languages that back up his distortion of the Bible. For example, no Hebrew manuscript anywhere backs up Smith's prophecy of himself in Genesis 50! One must simply take Smith's word for it that he got what was originally given to the author of Genesis despite all manuscript evidence.